Choice of 50+ dog breed images, from Afghan Hound to Yorkie! Alder Wood With Hinged Lid - Your Choice 5 Font Styles! 50+ Dog Breeds + 8 Font Styles! 50+ Dog Breeds + Choice of Poems & Fonts! 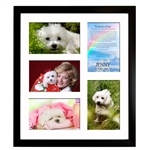 50+ Dog Breeds, Choice of Poems & Fonts! 50 Dog Breed Graphics + 5 Different Font Styles. 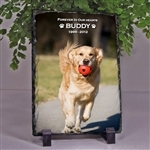 Our dog memorial frames feature unique pet themed designs that include dog paws, bones and other canine graphics. 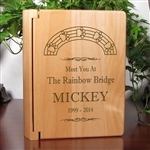 In our personalized photo frame lineup, we offer a large selection of wood picture frames, glass picture frames and multi photo frames in sizes that hold your most cherished 4x6, 5x7, or 8x10 photos. We also offer a choice of poems that can help to comfort those grieving the loss of a beloved companion, and celebrate the wonderful years spent with your furry friend. As with all of our custom picture frames and gifts, we take pride in providing you with the highest quality items that you will be proud to display in your home or send to a special friend. 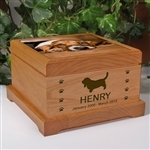 Browse below to find our stones, pet keepsakes, boxes, urns, and other sympathy items.